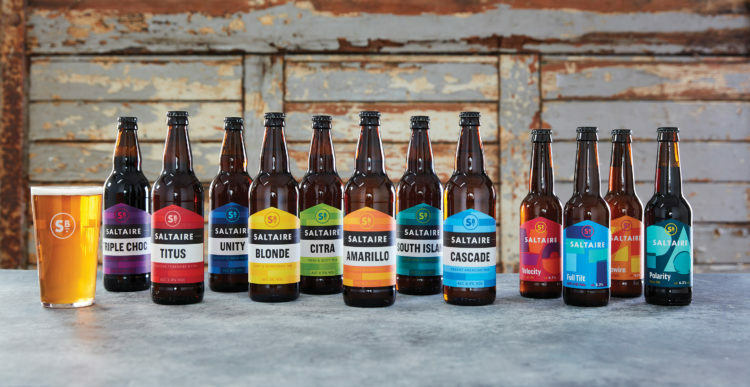 We are excited to share news of our latest project – a refreshed identity and new packaging for Saltaire Brewery, to help the brand evolve in a rapidly developing and competitive industry. 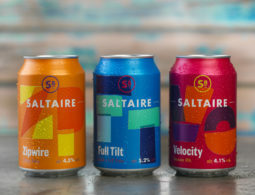 The internationally award-winning brewery, based in Shipley, West Yorkshire, has been brewing since 2006, but following the ‘craft beer revolution’ and a flux of new entrants to the market, Saltaire is now aiming to bridge the gap between cask and craft with its commitment to high quality beer regardless of the category. The launch of a new creative keg and 330ml range, now includes beers such as Full Tilt, Velocity and Zipwire, will allow them to do this. Our brief was to develop the existing brand and inject modernity, while telling the story of Saltaire. The redesigned crest which can be seen across all packaging, features the brewery initials and takes inspiration from street signs in Saltaire village. The peaked and slanting roof of the brewhouse can be seen in the lettering of the logo as well as on bottle labels and pump clips, whilst the brewery’s Yorkshire Stone bricks are also mirrored in the core range designs, tying the brand back to its roots. 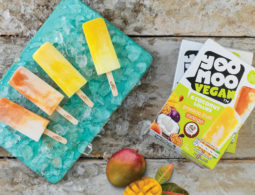 The use of bright colours and bold tones helps to cut through the noise of a busy category, helping the beers stand out on the shelves and bars retaining recognisable shades but with a revitalised design. 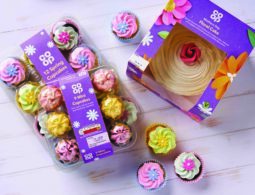 For the new 330ml range, the colours overlap each other to give an overprint effect which is reflective of the fun and creative approach to the recipes.